Your Business. Your Customers. Your Prices. You know you want need to build something that's truly your own. Now you can. Join us and get all you need to start selling online instantly! 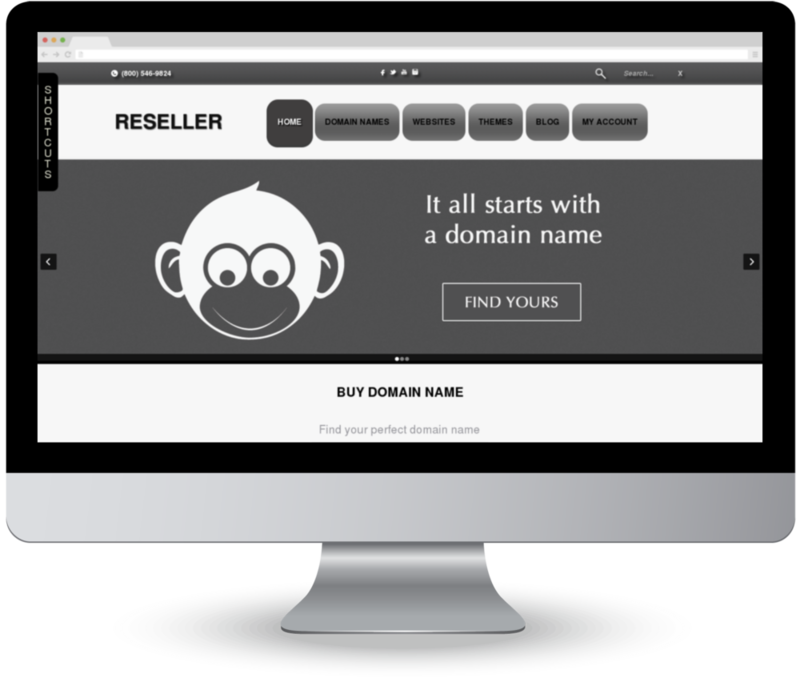 Launch your business, make money every month, selling quality web products and services for businesses, including domain names, websites, email, ssl certificates, and more. Your customers are yours to keep. They only see your business, name and logo so you can build your business and brand. They buy and renew products at the prices you set, so you can innovate, experiment and maximize your earnings as you see fit. With our reseller program, you are in full control of your business. Launch secure Storefronts for your business instantly. 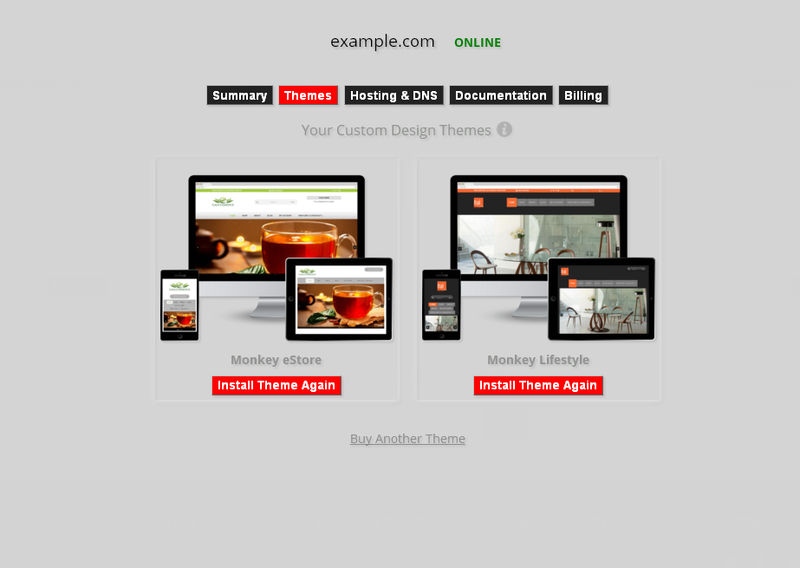 And yes, you can create as many storefronts as you need. Fully customizable, everything...even the design. You have the freedom to accept payments from your customers anyway you like. 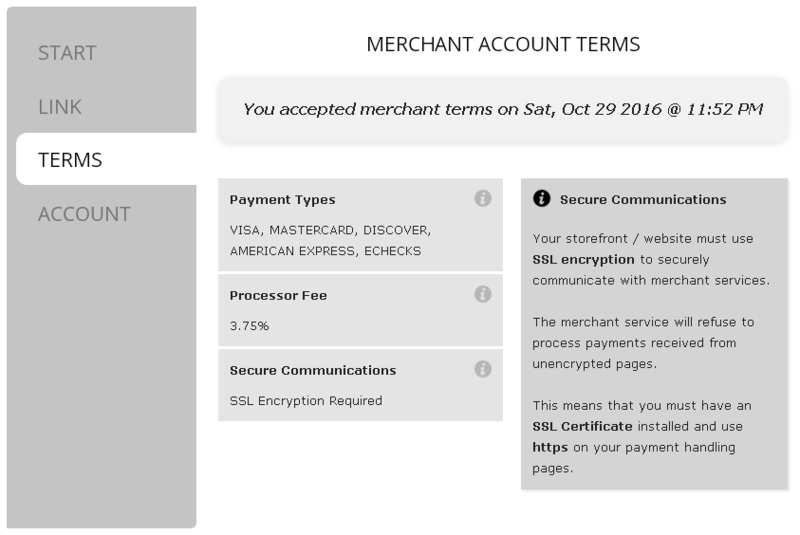 Our storefronts currently supports the following payment processors: AJIBOYE, Paypal, 2Checkout, AuthorizeNet, eProcessingNetwork, Cybersource, Intuit, Linkpoint and Verisign. If you already have a merchant account for your business, you can use it. If you don't have one, or need a simpler solution, use AJIBOYE. You instantly get a free, secure merchant account with payment processing with VISA, MASTERCARD, AMEX, DISCOVER and CHECKS, at a low fixed rate of 3.75%. For example, you only pay $ 3.75 fee for a $ 100.00 customer purchase. NO application fee, per-transaction fee, merchant account fee, or any other fees. 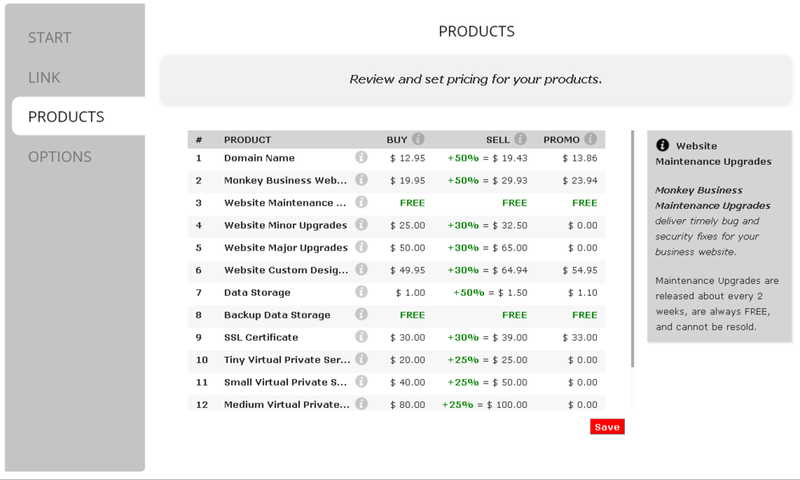 Our storefronts feature intuitive regular and discounts price management. Quickly set your price for products, up to 100% markup. You can focus on your sales, marketing and promotions effort to build your business knowing your customers will get what they pay for, on-time, every time. From domain names, websites, to everything in between, your customer orders are filled and delivered instantly. * These steps only apply if you use AJIBOYE for payments processing. If not, you will need to PRE/FUND your account to make sure you have enough to cover the orders your storefront submits for fulfillment. Review FAQs for details. Our storefronts put you and your customers in complete control, using industry best practices, proven to achieve the crucial balance of customer satisfaction, service availability and sales rebill automation. Your customers receive timely email alerts to upcoming product and service renewals. From annual renewals of domain names and ssl certificates, to monthly hosting, data storage, and virtual private servers. From their control panels, customers can cancel, renew or add products at anytime. Product rebills is the key to growing your earnings over time. Which is why we invest in delivering reliable, value-add products, and experiences that is critical to keep your customers happy, and you earning more every month. Our storefronts are designed to empower your customers with reliable access to their billing, products, services, tools and documentation, allowing you to save BIG on avoidable customer service and support costs. 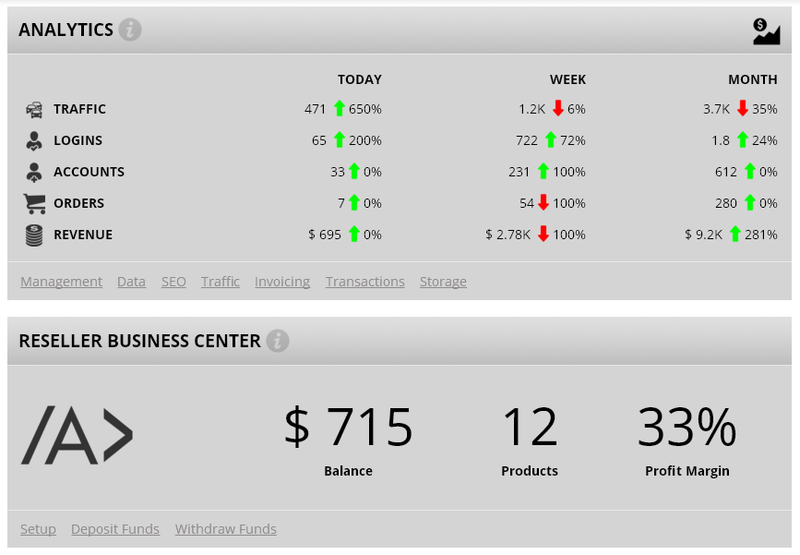 Our storefronts provide detail analytics and reporting for everything that matters to your business. Easily gain insight into every aspect of your operations, from website traffic, logins, to sales volume and revenue. You can withdraw funds from your reseller merchant account balance at anytime. We provide a 2-day processing for withdrawals. Funds can be sent to your accounts by DIRECT DEPOSIT, PAYPAL or WESTERN UNION.